Thanks to Amazon and other online selling platforms, a lot has changed in David’s life. The biggest being he now has the freedom to work where he wants, whenever he wants. However, since he enjoys what he does, he doesn’t feel the need to be on a constant vacation. And since he’s no longer bound to a desk job, if he wants to travel he can! David can travel to anywhere for pleasure and work and enjoy both! David grew up in Canada, where he was instilled with a strong work ethic and taught to value his education. From a young age, he was always hustling, from a local paper route to buying and selling knick knacks in the neighborhood. He learned quickly that there was always value to be had in having items that others wanted, and he monetized that throughout his childhood. David did well in school despite these extracurricular ventures, and he went on to get a degree in electrical engineering. Despite making good money and being talented at the job, he wanted more. Specifically, he wanted the freedom to be his own boss, and a job that challenged him intellectually. The real dream was having a passive income with unlimited potential, and the ability to travel and work whatever hours he wanted. He soon thought back to his childhood hustle of buying and selling. He had bought plenty of things on Ebay in the past when hunting for a deal, and he decided to try his hand at selling on this platform. What started as a hobby soon showed potential as a career. When the Amazon wave came along, he was ready and immediately started selling there as well. He had modest success at first, but despite his best intention still found himself working exhausting hours and doing tedious research in front of the computer. Early on, there were no tools for finding products or niches to sell in. This meant painstaking hand calculations and estimates. It also meant a lot more guessing. David likens it ‘to throwing darts with a blindfold on’. He had enough of an idea where the board was that he still hit it sometimes, but there were a lot of misses and bullseyes were rare. All of the research and data analysis meant months between new products. In an industry that allows for near exponential growth, this delay was especially troubling. Soon, tools became available that were supposed to simplify this research. In the early days, most of these were available inexpensively or on a trial basis. Being a savvy consumer, David tried the full spectrum. He found AMZScout to be far and away the best. 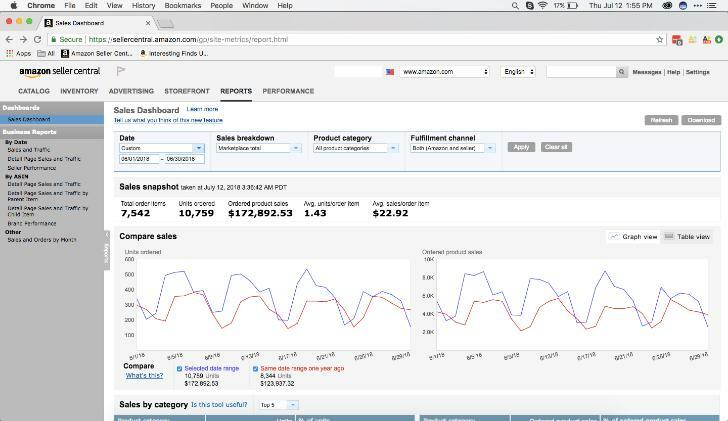 While all these tools had similar intents, AMZScout offered a wider breadth of data and analysis tools such as its Opportunity Score for instantly evaluating products and niches, monthly revenue and sales estimators, FBA fee calculator, and even links to Alibaba listings of similar products for seamless sourcing! Being able to consolidate his product research into a single Chrome extension and web app shaved off dozens of hours of work. This meant he could bring more products to market quickly, and have more time to enjoy his financial independence. 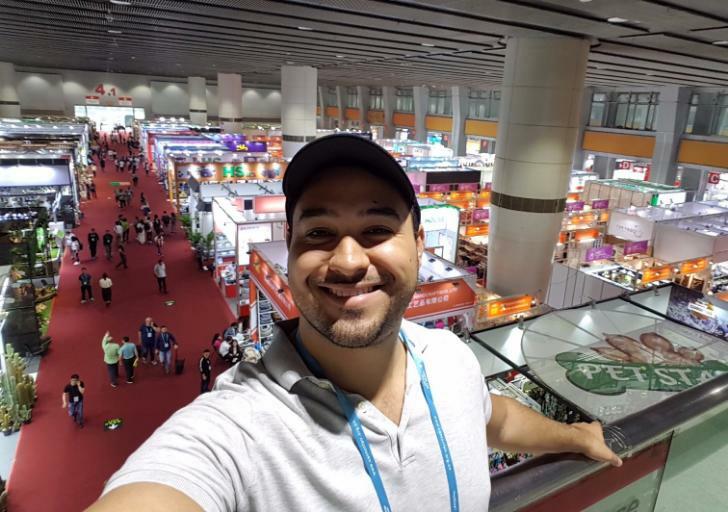 David even got a chance to travel to China personally and visit with and create relationships with manufacturers. This helped ensure quality and distinctness compared to other sellers. To those on the fence, David has some specific advice: Get started now! The Old Chinese Proverb says, “The best time to plant a tree was twenty years ago. The next best time is now.” Don’t miss out on all of the profit, freedom and opportunity offered by selling on Amazon. Take a look around, there are sellable items we use and see everyday! It’s all about opening your mind and beginning to see everything as potentially sellable items. Today, David continues to have remarkable success. His use of the AMZScout app has enabled him to manage multiple successful accounts, with one account grossing over $175,000 each month. He has some accounts with very high profit margin items and relatively low sales, while others burn through inventory of priced items. Take a look at the incredible numbers in the screenshot below! With the knowledge David has accumulated over the year, he has also helped friends and family grow their Amazon business to success. Aside from his own Amazon business, he also does Amazon consulting whenever he has free time. In addition, he is currently working on a complete course to teach everyone what he knows and learned over the years. We assume this will be a course with many tips and tricks we haven’t seen before and are excited to see when it is released! Follow our blog to stay current with cutting-edge strategies and if you haven’t yet, take your Amazon sales to the next level with the AMZScout Chrome Extension! 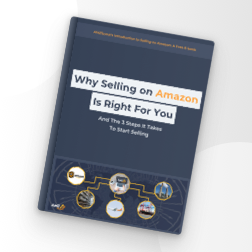 If you are interested in selling on Amazon, we have made ebook for you! Download it absolutely FREE! Download our FREE Guide to Start your Passive Income on Amazon!